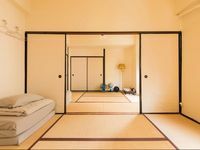 Properties in Honden-ji Temple average 4.2 out of 5 stars. Property 9: Osaka Castle, Gion Shijo(Kyoto), Shinsaibashi, Umeda, Tennoji, KIX no transfer! Property 10: 51Doutonbori 2 mins,nearby Namba! 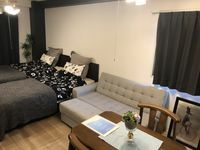 Property 15: H # 66 Only 7 minutes walk from Namba Station.It is a comfortable room with easy access within walking distance to Dotonbori Shinsaibashi. HITONOWA Shin Osaka 201 New Bldg! Property 16: HITONOWA Shin Osaka 201 New Bldg! Property 17: 70m 2+ ★ Kuromon Mkt. Walking dist. ★ Subway 2 min. ★ Dotonbori 10 min./ Umeda 15 min. Property 26: Guesthouse Chiharu!It is within a 10-minute walk from JR Teradamachi Station! HITONOWA Shin Osaka 301 New Bldg! Property 27: HITONOWA Shin Osaka 301 New Bldg! This was a very clean apartment, very convenient location by Bentencho station. I would definitely recommend this host.